We look forwards to the opportunity to share with you our vision and passion that is translated into our stunning and exquisite luxury jewelry and Swiss timepieces. 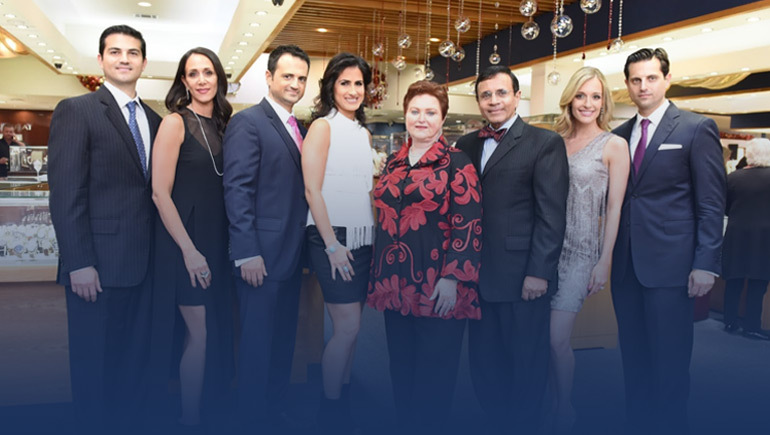 As a sixth and seventh generation family-run business, Zadok Jewelers is proud to personally assist and serve our customers. As one of the last independent jewelry stores in the nation, the Zadok family is committed to our neighbors. Our Houston showroom is among the largest in the country and our collection features rare pieces and an expertly curated inventory that will ignite a newfound passion for fine jewelry. We take great pride in our community. Our family has served Houston for over thirty years, building deep ties to the Gulf South region. These southern roots are our guiding principle in service and sales. Visit our showroom without pressure from salesmen or the bustle of the Galleria. Take your time and browse through a collection that is as carefully crafted as our Swiss timepieces. While we are based out of a single location, Zadok Jewelers has been privileged to become the jeweler of choice for many people both in the United States and internationally. We are humbled to receive national and international recognition in the jewelry and watch industries for our sterling reputation, exceptional service, integrity and philanthropy. Our inventory is filled with rarities and the most prestigious names in the industry including Tacori, Breitling, and Hublot. We hold ourselves to the highest standards of the industry, with the Zadok sons leading several Gemological Institute of America (GIA) Graduate Gemologists on our staff. With an unparalleled selection of certified loose diamonds and gemstones at our Houston store, we work with each customer to ensure that your selection is the perfect reflection of you. 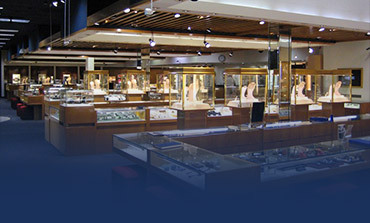 We don’t specialize on just engagement rings or watches, our showroom features a curated selection of diamonds, engagement and wedding rings, and Swiss timepieces earning our store the reputation as Houston’s largest and most distinctive couture jewelry, watch, and diamond gallery. Fine jewelry lends the ultimate significance to our customers’ lives. Let us help you find the perfect way to honor wedding vows, commemorative gestures, personal achievements, and jewelry legacies. Our family strives to work with every customer to provide them the perfect expression of love. Our staff is here to help share with you our values of integrity, professionalism, and customer service that has been a trademark of our family name for seven generations. Zadok Jewelers can also help to maintain and repair the jewelry already in your collection. We have both an on-site facility for jewelry fabrication and repair services. Our watch service center can repair, restore and maintain many watches, and is an official repair facility for many fine watch lines. Spanning five decades our store has grown along with its clientele. Today, Zadok Jewelers encompasses over 12,000 square feet – ten times its original size – and our loyal customers span the globe. However, even with this expansion, our family and staff still strive to make our customers welcome and comfortable – as though they are visiting an extension of the Zadok home.